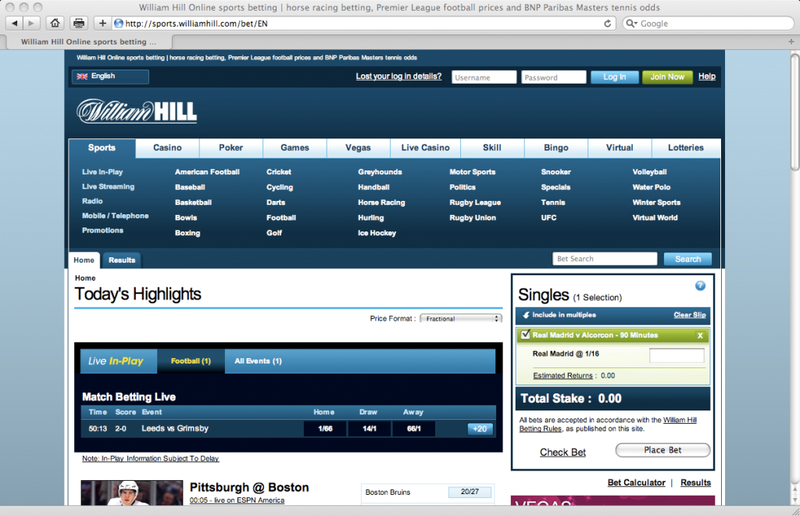 William Hill’s start page today. It is harder than it needs to be to place a bet at William Hill. I believe this is because the layout of is not focused on the player’s goals. The goals for a player is likely to find bets and place bets. The design is very clean and looks good but I believe the problem is in the placement of the navigation (under Sports). 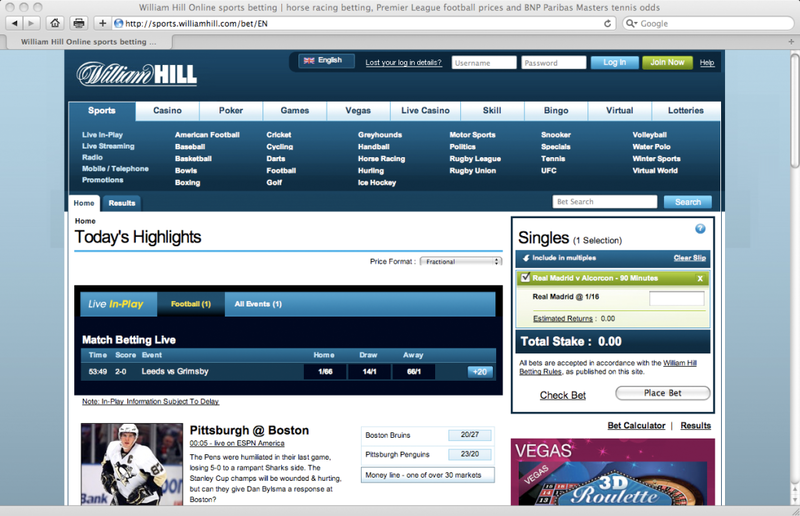 With William Hill’s navigation structure at the top the player has to scroll down to be able to see matches and odds. I just did a little quick modification to the start page, moving everything higher up. My modification to the start page. If William Hill wants to make it even easier for players to place bets then they probably should think about redesigning it even more.